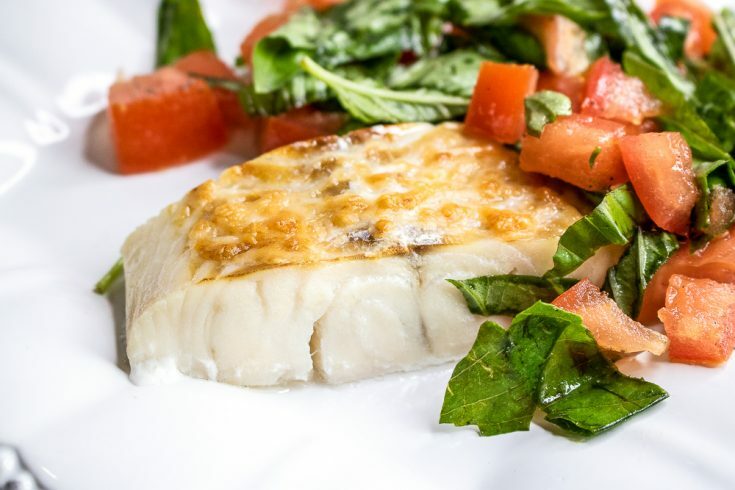 Arrange haddock filets on baking sheet and brush with a tablespoon of olive oil before sprinkling with the Parmesan cheese. Lightly season each filet with salt and black pepper, if desired. 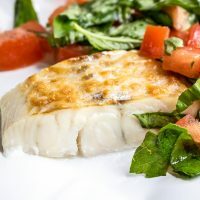 Transfer fish to individual serving plates and top each filet with an equal portion of the tomato-basil mixture before serving. Enjoy!